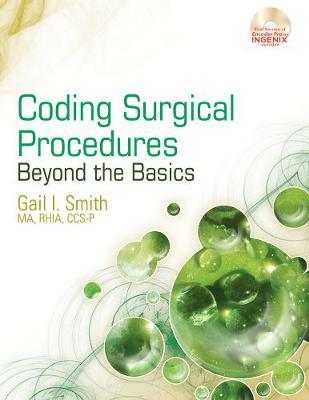 Coding Surgical Procedures: Beyond the Basics helps you to develop the necessary coding skills required beyond the basic level. Surgical coding is the most difficult component of procedure coding. Each chapter focuses on the clinical aspect of surgical procedures and its application to procedure coding. Surgical procedures are mapped to official coding guidelines for an in-depth understanding of correct coding practice, and each chapter includes case studies, exercises, and resources to enhance your knowledge of surgical procedure coding. A partial answer key appears in the appendix so you can check your progress through the exercises and case studies. Includes a free trial of EncoderPro.